Grand, centuries-old cathedrals distinguish Great Britain’s cities and towns, providing spiritual nourishment to those who visit. These places of worship seem ancient almost beyond imagination. 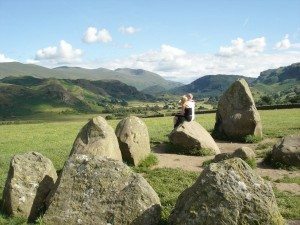 But long before Gothic cathedrals…long before recorded history even, Britain’s stone circles were this land’s sacred spots. Most believe stone circles functioned as celestial calendars, and even after five thousand years Stonehenge still works as one. As the sun rises on the summer solstice (June 21), the “heel stone” — the one set apart from the rest — lines up with the sun and the altar at the circle’s center. With the summer solstice sun appearing in just the right slot, prehistoric locals could tell when to plant and when to party. While Stonehenge is viewable only from a distance, Britain is dotted with roughly 800 lesser-known stone circles. A favorite is Avebury. Just 19 miles north of Stonehenge, it’s 16 times as big. 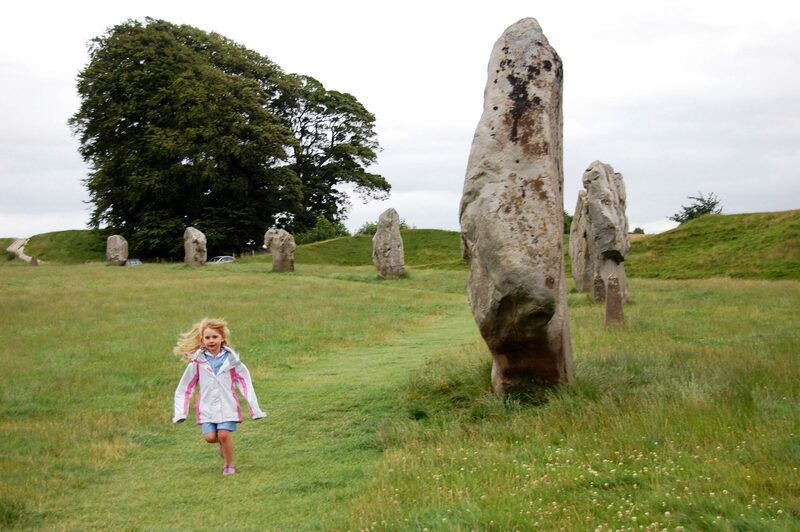 And Avebury is a megalithic playground, welcoming kids, sheep, and anyone interested in a more hands-on experience. Visitors are free to wander among its 100 stones, ditches, mounds, and curious patterns from the past, as well as stroll in the village of Avebury, which grew up around and even within this fascinating 1,400-foot-wide Neolithic circle. In the 14th-century, in a frenzy of religious paranoia, Avebury villagers buried many of these mysterious pagan stones. Their 18th-century descendants hosted social events in which they broke up the remaining stones. In modern times, the buried stones were dug up and re-erected. On a recent visit, enjoying the half-mile walk along the perimeter path, I tried to make sense of the earthen ditch and bank, grateful for the concrete markers showing where the missing broken-up stones once stood. Scotland has its own breed of stone circles. At Clava Cairns, set in a peaceful grove of trees just a few minutes drive from Inverness, are the remains of three thought-provoking stone igloos, each cleverly constructed with a passageway that the sun illuminates, as if by magic, with each winter solstice.